Use the checkboxes to try different lines of reflection. 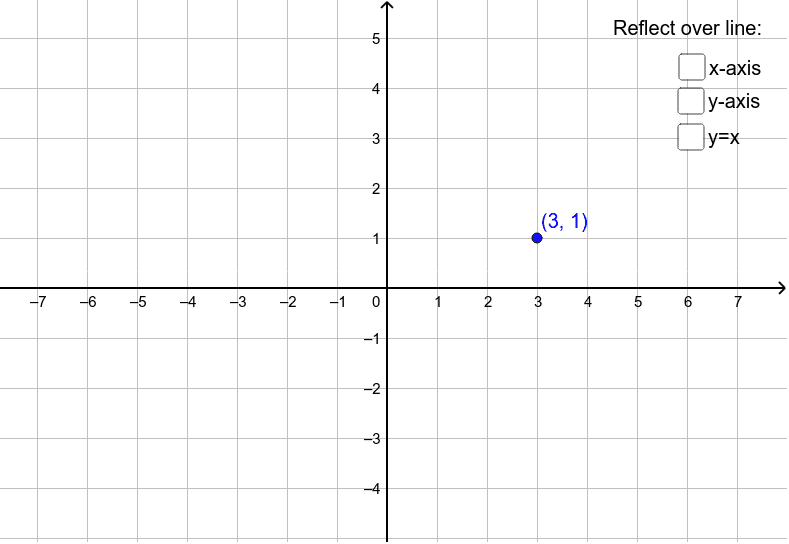 What patterns do you notice in the coordinates of the reflected point? Do those patterns remain if you move point P? Try it to find out!